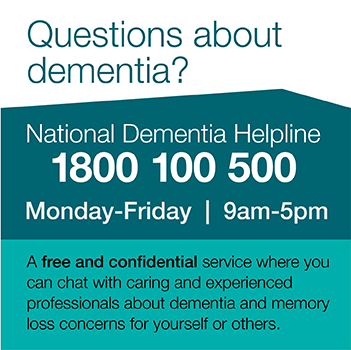 Small Acts can make a Big Difference for people impacted by dementia, their families and carers. During Dementia Awareness Month, we are asking individuals, organisations and communities to pledge their support by becoming a Dementia Friend. Together, we can make a positive difference to the lives of people living with dementia through increased awareness and support. Anyone can become a Dementia Friend. Already thousands of people, including Dementia Australia Ambassadors, politicians, businesses, communities and individuals have signed up and pledged their support.